The rural fuse has been lit. The countryside is tinder-dry. Post offices and banks, shops and schools are closing. Farmers are going out of business. Houses are becoming unaffordable as prices soar ad poverty grows. Pollution and over-exploitation are destroying landscapes. Many rural communities are on the verge of collapse. Some fear the foot- and - mouth crisis will prove to be the last straw. This book offers disturbing evidence of the background to the crisis. 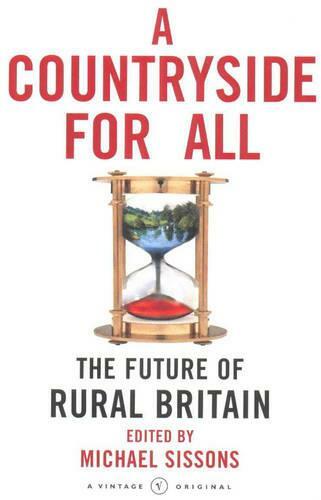 A Countryside For All is a rallying cry for action, pointing ways towards a presciption for the future. This volume tackles many of the issues in a variety of new and original ways. Possibly the most controversial and radical call is for the creation of a Department for the Countryside, with a Secretary of State for the Countryside- who would be responsible for setting a coherent set of policies to reverse the decline of rural Britain. This timely book outlines the main problems facing the countryside, and starts to bring together a balanced range of proposals. Thought-provoking, filled with common sense, often controversial but always fascinating, it points the way forward for the countryside, and for town and country as a whole.